Handcrafted using an age old recipe. Uncured, traditionally seasoned and peppery. 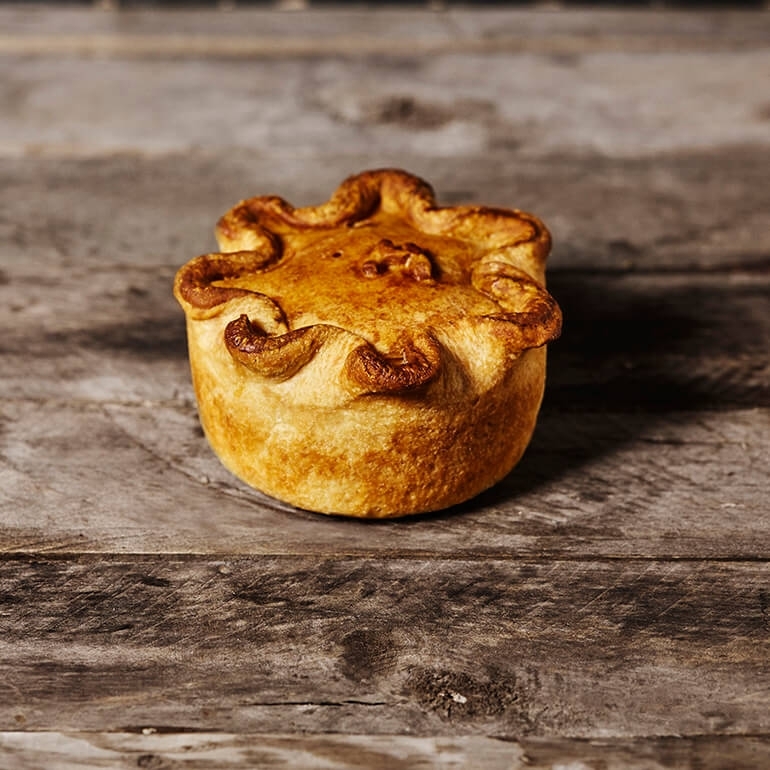 Every Englishman knows that the finest pork pies come from the pretty Leicestershire town of Melton Mowbray. We’ve based ours on the age-old Melton recipe. 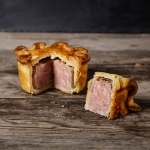 It’s handcrafted with uncured cuts of traditionally seasoned, peppery British pork, encased in a thick, hot-water crust pastry. 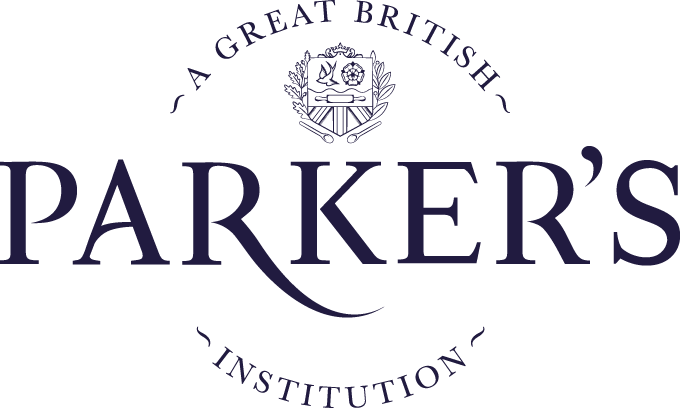 The pastry is made to a secret recipe, passed down through the family from a Yorkshire butcher. 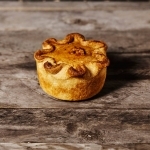 Pork pies are at their best eaten cold or at room temperature, but don’t be afraid to warm through. Pork, Wheat Flour, Water, Lard, Gelatin, Rusk (Wheat flour, Water, Salt, Ammonium Carbonate (rising agent)), Seasoning (wheat flour, salt, Spices, Dextrose, Sodium Triphosphate (Stabilizer), Yeast Extract, Sugar), Salt, Glaze (Water, Maltodextrin, Modified Starch (Maize), Dextrose (Wheat) Methylcellulose, Caramel Color, Annatto Extract (color)).